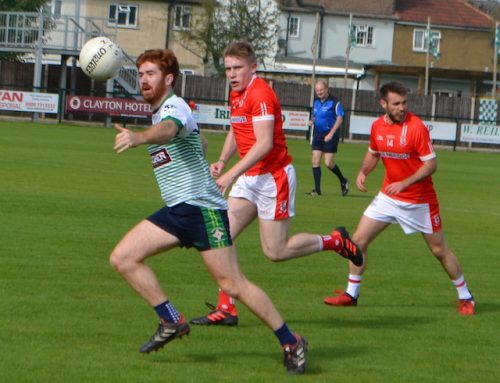 North London Shamrocks made it two wins from two to take pole position in Group 2, but if they have genuine aspirations of winning this year’s senior title then they’ll need to find another gear or two, and address some defensive frailties. A strangely subdued first half saw Shamrocks lead 1-5 to 0-4 thanks to Daryl Roberts’ tap-in goal, with Paddy Madigan’s side struggling to really fire. 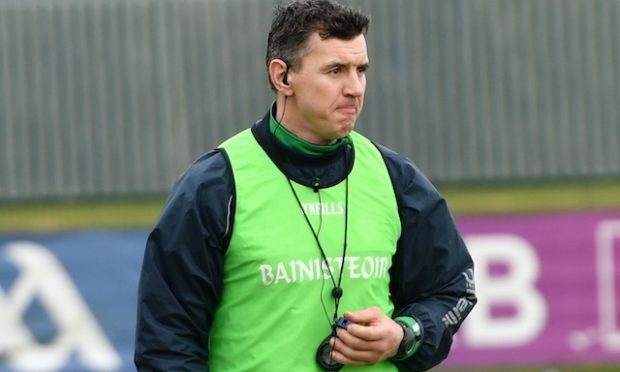 They addressed that in the second half, displaying the obvious attacking talent within their ranks, in the likes of James Hynes, Liam Irwin, Finbar O’Mara and Ryan Burke. 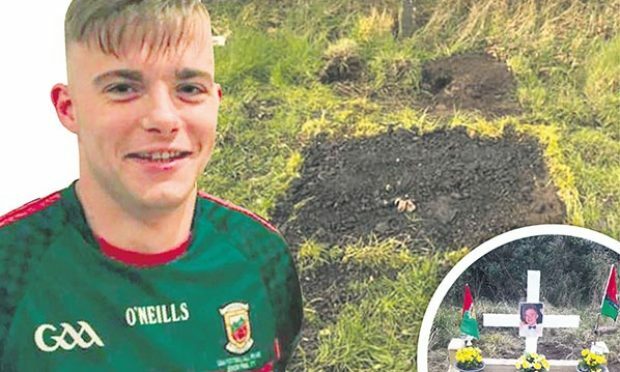 But more concerning will be how they allowed their goal to be breached four times by a committed and hardworking Cuchulainns side, which had managed just 0-4 in their first round defeat to St Kiernans. 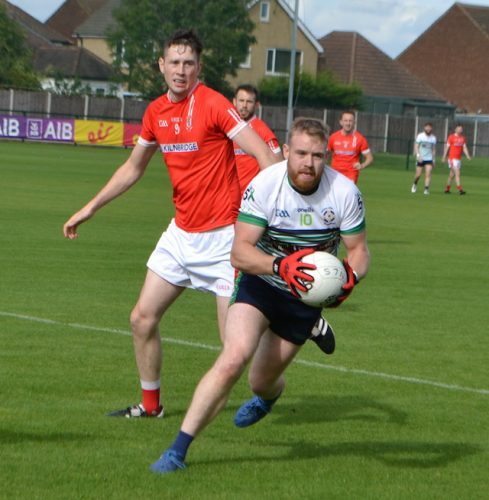 Shamrocks were given an almighty shock at the start of the second half when Fiachra McArdle beat Marcus Moylet to a through ball, and guided the ball into the net. A minute later McArdle’s quickly taken free found Jack Byrne completely unmarked and he added a second goal. We’d played four minutes of the second half and Cuchulainns suddenly led by 2-4 to 1-5. It stung Shamrocks into life and within 60 seconds they had the ball in the net at the other end, as Karl Rogers could only parry Ryan Burke’s initial shot. The rebound fell to Irwin and his deflected strike just had the legs to squeeze over the line in the corner. 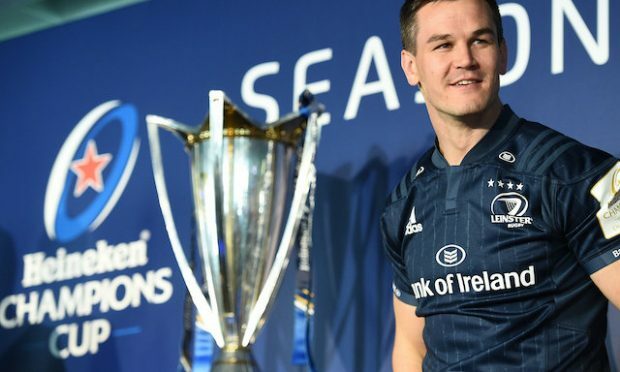 Devouring Rogers’ kick-outs, Shamrocks rattled off the next five scores without reply. 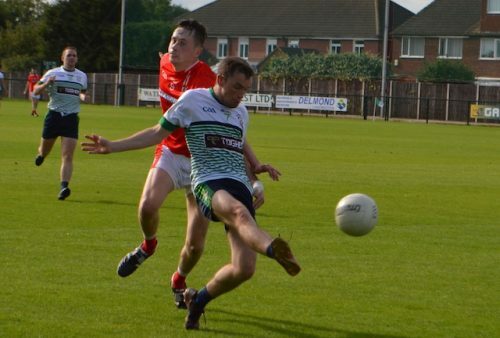 Cuchulainns were only dealing in goals and Conor Donnellan netted after a neat exchange with McArdle and Ciaran Boyle. But Deja Vu saw Shamrocks go straight back down the other end and raise the green flag – Irwin and Dualtach Molly setting up Hynes. Cuchulainns weren’t done and Michael Meenagh’s ball over the top set up McArdle to coolly finish past Moylet. With 11 minutes to go, Shamrocks still only led by five points (3-12 to 4-4). For the third time, however, Shamrocks immediately replied with a goal of their own. Irwin setting up Roberts for his second of the game. That finally ended the Cuchulainns threat, and Shamrocks saw the game out comfortably thereafter. For, Cuchulainns it as a performance which will have done them the world of good ahead of their crucial Round 3 clash with Towers. Victory is a must if they are to avoid a relegation play-off. 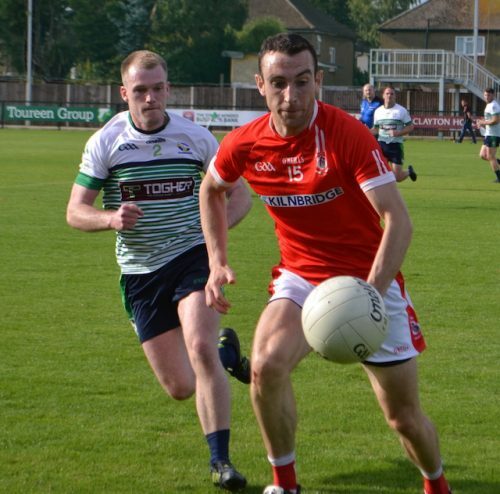 Shamrocks, meanwhile, showed what they can do in attack in the second half, but they will want to tighten things up at the back before they face Kiernans. North London Shamrocks: Marcus Moylet; Eoin Flanagan, Gareth Ryan, Cormac Coyne; Peter Withrow, Eoin Culligan, Denis O’Regan; Niall Costello, Enda McHugh (0-1); Finbar O’Mara (0-2), James Hynes (1-3), Ryan Burke (0-1); Daryl Roberts (2-2), Liam Irwin (1-5), Dualtach Molloy (0-1). Subs: Killian Burke for Costello, Ciaran Green (0-1) for Molloy, Kevin O’Brien for Ryan Burke. 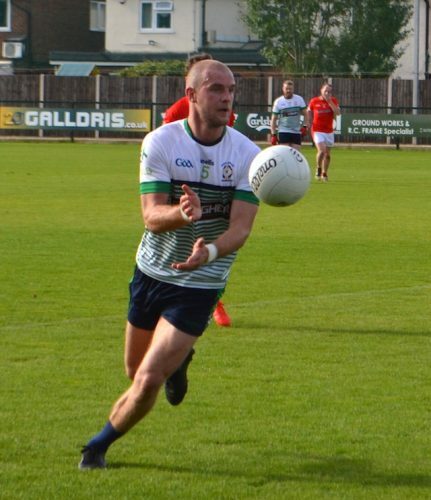 Cuchulainns: Karl Rogers; Kieran O’Sullivan (0-1), Gary Walsh, Cillian Reilly (0-1); Conor Donnellan (1-0), Conor Harrington, Ciaran Boyle; Camilus Donnelly, Jack Byrne (1-0); Anthony Tighe, Fiachra McArdle (2-3, 3f), Cianan Byrne (0-1); Shane McWeeney, Darren McManus, Brendan Breen. Subs: Cathal Noonan for Byrne, Michael Meenagh for Tighe, Tighe for Breen.